American science writer who wrote the highly popular mathematical games column for Scientific American for 25 years. Though never an academic, and having never formally studied mathematics or science, he has written widely on both subjects, including such popular books as The Ambidextrous Universe and The Relativity Explosion. In 'Introduction' contributed to Donald J. Albers and Gerald L. Alexanderson, More Mathematical People: Contemporary Conversations (1990), xi. I think of myself as a journalist who writes mainly about math and science, and a few other fields of interest. 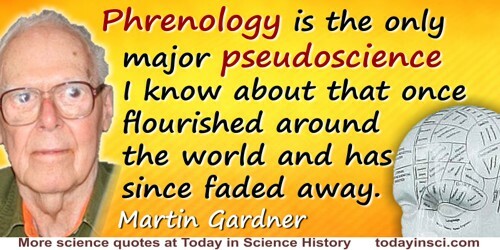 In Kendrick Frazier, 'A Mind at Play: An Interview with Martin Gardner', Skeptical Inquirer (Mar/Apr 1998), 22, No. 2, 36. 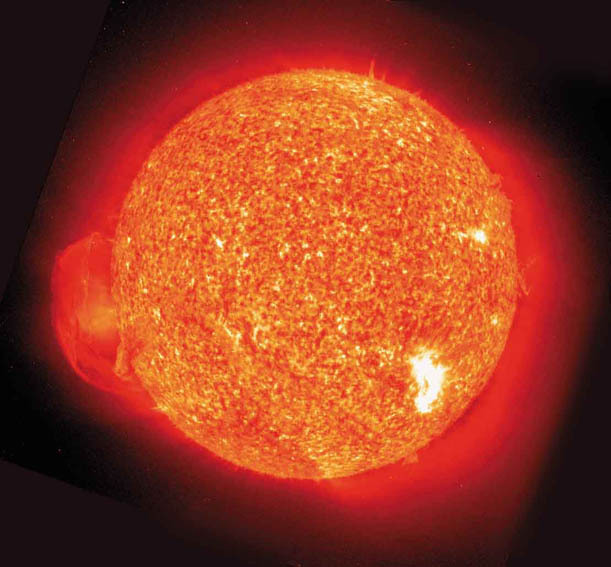 If you look over my Scientific American columns you will see that they get progressively more sophisticated as I began reading math books and learning more about the subject. There is no better way to learn anything than to write about it! In 'Mathematical Games', Scientific American (Oct 1973), 229, 114. It took me so long to understand what I was writing about, that I knew how to write about it so most readers would understand it. Just as knowing how a magic trick is done spoils its wonder, so let us be grateful that wherever science and reason turn they finally plunge into darkness. John Mitchinson and John Lloyd, If Ignorance Is Bliss, Why Aren’t There More Happy People? 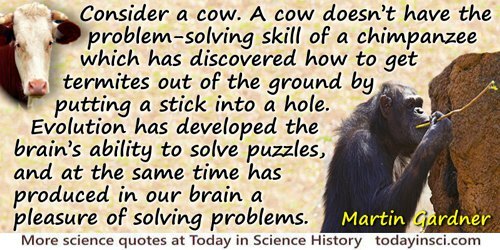 : Smart Quotes for Dumb Times (2009), 274. In 'Preface', Mathematics, Magic, and Mystery (1956), ix. Webmaster checked the actual page, in the 1956 edition, and there Gardner plainly uses the beginning words “Mathematical magic.” On page 113, Gardner credits Royal V. Heath for originating the term “Mathemagic,” used as Heath’s book title in 1933. 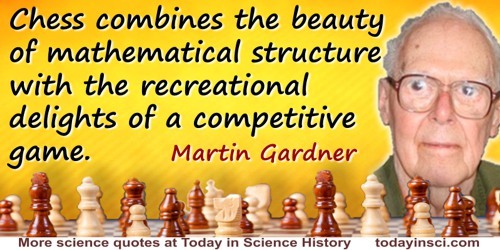 Anywhere you see the quote incorrectly beginning with “Mathemagical mathematics…” or saying Gardner coined the term “mathemagical” obviously did not check the primary source. In 'Gardner on Gardner: JPBM Communications Award Presentation', Focus-The Newsletter of the Mathematical Association of America (Dec 1994), 14, No. 6. Also, first sentence as filler, with citation, after Washek F. Pfeffer, 'A Devil's Platform', The American Mathematical Monthly (Dec 2008), 115, No. 10, 947. In Introduction, The Night Is Large: Collected Essays 1938-1995 (1996), xvii. The universe is made of particles and fields about which nothing can be said except to describe their mathematical structures. In a sense, the entire universe is made of mathematics. If the particles and fields are not made of mathematical structure, then please tell me what you think they are made of! 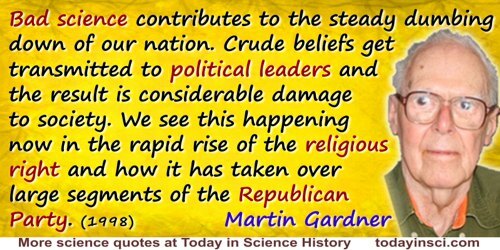 As quoted in Kendrick Frazier, 'A Mind at Play: An Interview with Martin Gardner', Skeptical Inquirer (Mar/Apr 1998), 22, No. 2, 39. Why does the universe, as Hawking has recently phrased it, go to all the bother of existing? Why is there something rather than nothing? Things would be so much simpler if nothing, absolutely nothing, existed, not even a God. 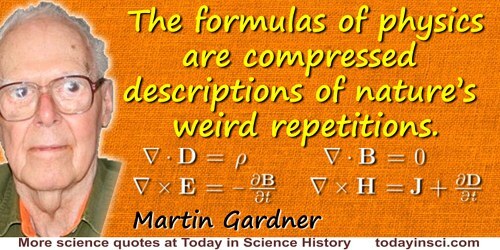 Martin Gardner is one of the greatest intellects produced in this country in this century. 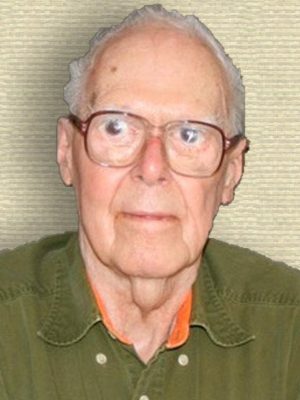 He was not a mathematician–he never even took a maths class after high school–yet Martin Gardner, who has died aged 95, was arguably the most influential and inspirational figure in mathematics in the second half of the last century. 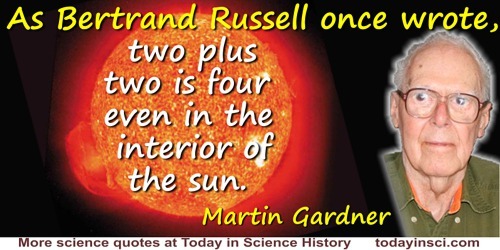 21 Oct - short biography, births, deaths and events on date of Gardner's birth.